As regular readers will remember we had some problems adapting our Volvo 6-cylinder to the T56 Magnum. But step by step we made them bolt together like a match made in heaven. Or at least a matched made on Ringön where all sorts of strange things can happen, trust me on that. The last thing to finish was the actual flywheel. 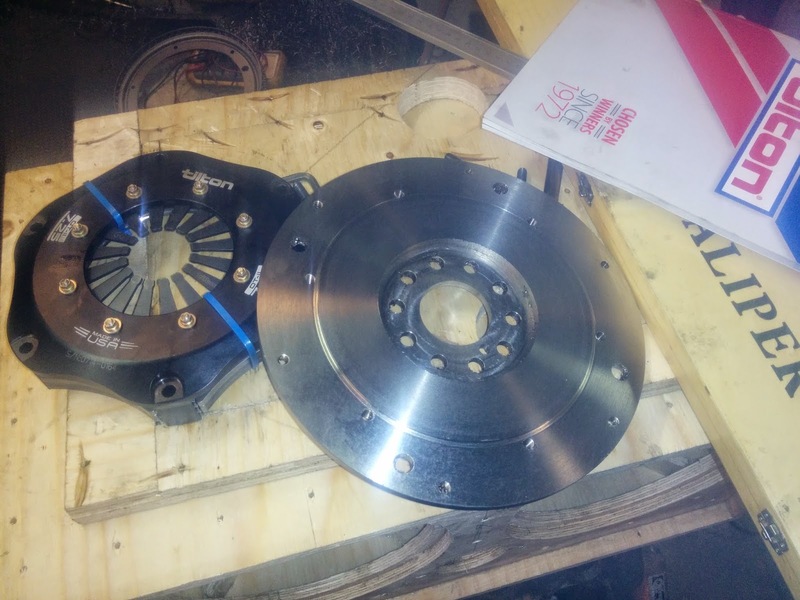 We made the blank a while back but to make it work with the Tilton triple disc clutch and the cut off ring gear there was some machining to do. The blank was made from a nice shiny, thick, flat stainless steel plate we happened to have. OK the choice of stainless could be questioned, but it was the only thick plate we had on hand. 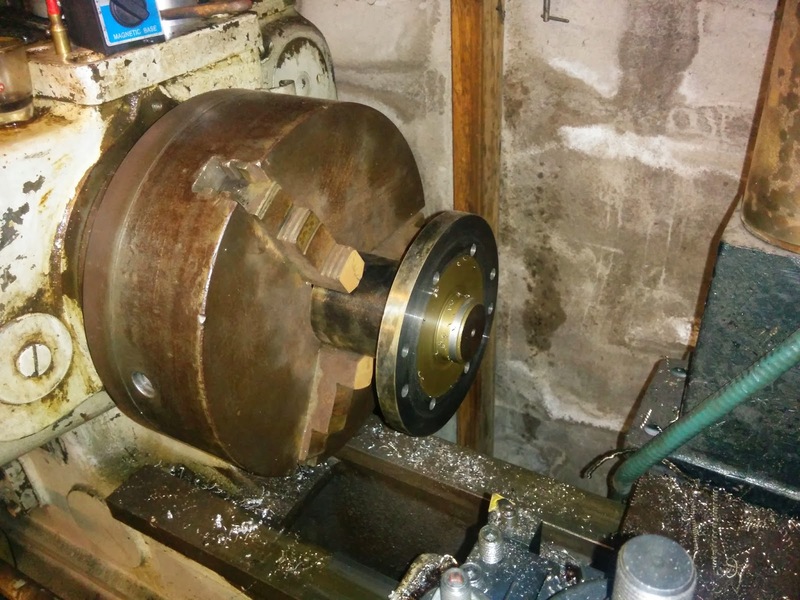 The final machining was long overdue, so my Warner and Swasey turret lathe had to dig in. The game plan was easy. Take a light skim cut on the face of the flywheel, machine the step for the Tilton pressure plate and machine a step for the ring gear piece. First I had to make an arbor holding the blank true in my not so true running chuck. Then face off the flywheel. Well that nice, seemingly flat, almost precision ground surface wasn’t flat at all. Nope, but after almost 1 millimeter was shaved off it was OK. After that turn a step for the pressure plate, flip it around facing off the backside and a turn down a step for the ring gear. 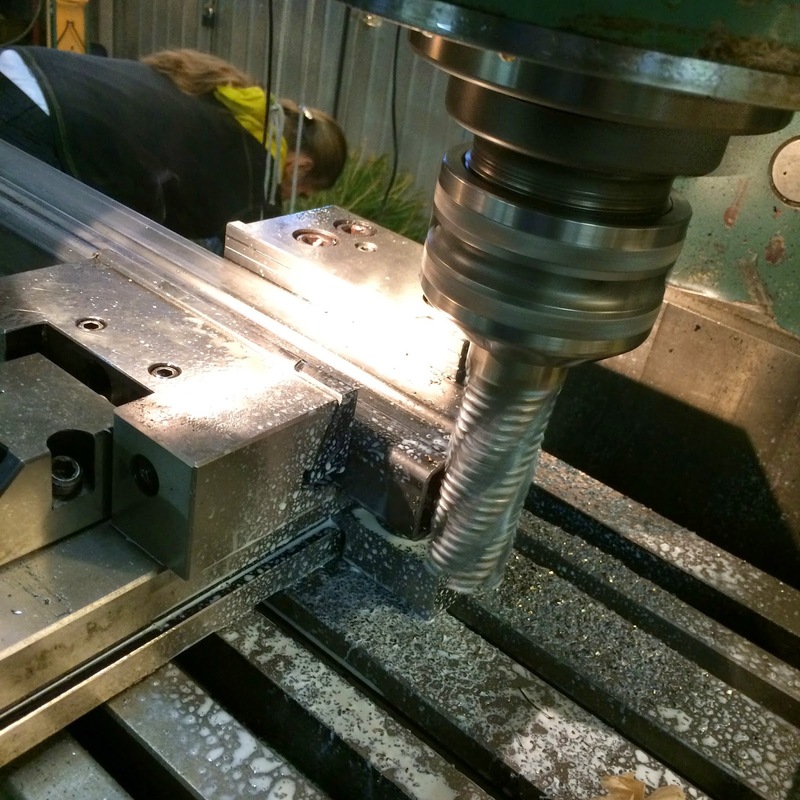 Now this wasn’t that hard at all, but machining stainless is tedious. And what was left of our big nice blank? Well a whole lot less. I don’t know what it weighs or what it did weigh before. But let me put it like this, it’s more race than family car now. Oh scrap! If someone wants to make a wig, I can set you up. Heavy metal style. 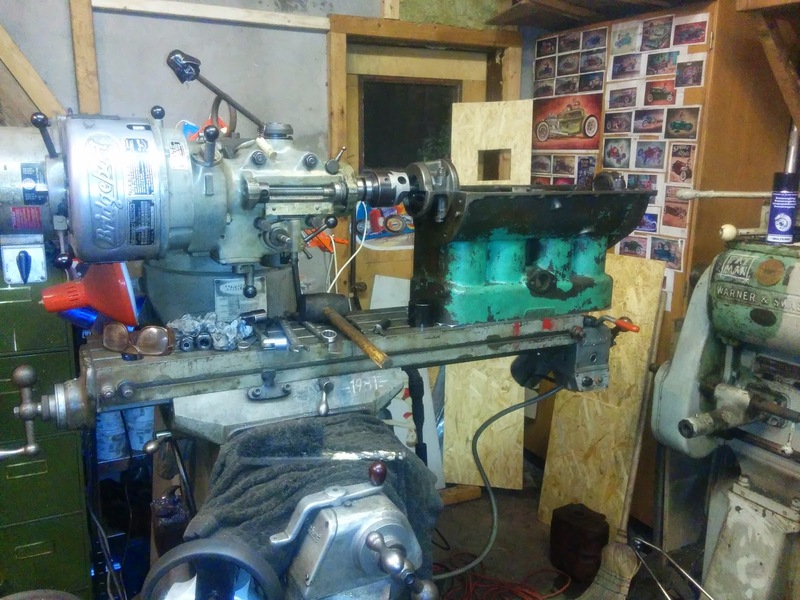 In a dark corner of my work shop, a Ford Model B is on the Bridgeport getting milled for a new crankshaft thrust bearing. Maybe I’ll get back to that one day. Both the Bridgeport and the Model B.
I come from a world where billet car parts are frowned upon and for a good reason. But making your own car parts, engine parts, speed parts and so on is always cool. I must say that I’m actually quite proud of what we made here. Made using old machines, still capable of doing a good job. Billet not bought!! But on the other hand there are probably no company out there offering a Volvo flywheel set up for a Tilton clutch. ...but a happy group of real people in Gothenburg...who has received a Golden Control device from The Moon. This component, from which we will give direction as we fly trough tough areas in high speed, is maybe not a suitable representable for Nordic design or Jantelagom, but it will eventually be the something to hold on to as the salt could forms and our knuckles whitens. It represent dreams and makes us feel distant to PowerPoint, Excel and big talks...and more close to get going. Hopefully we should not need the devices to the left in this picture since were about to go fast, but anyhow, it feels appropriate to have breaks. This is the first mock-up of the pedal set position. Jingle Bells, Jingle Bell, Jingle all the way....you can't trust delivery timing from reindeers and Santa these days. But nevertheless our package from Speedway has arrived. Yes, we ordered a battery-box as well. No, we're not lazy, we just lack the time to manufacture everything ourselves. Renovated and painted part always looks good and makes you feel fine. The front end is now ready for assembly. ...which makes the Golden Moon device to become real. Ghosts? ...Magnus both feel comfortable. Both as viewers and test drivers. Please note as well Anders beautiful aluminium transmission cover. January is not only welding. But bookkeeping still need to be performed. So, before we all fainted, before the last drop of energy was consumed, we called in the prevailer of boredom and hence our savior: Teddyhead. Teadyhead captured while doing SSR bookkeeping. Full speed ahead in the SSR workshop! Saturday morning in the middle of January and a busy week at work have made us all tired. But winter gloom and mild hangovers can normally only be cured in one way. Here’s my recipe: Go to your friend in the garage, tell stories and exchanges dreams and be creative. After that, change cloths to something more comfortable and build something. Result? The good mood arrives! 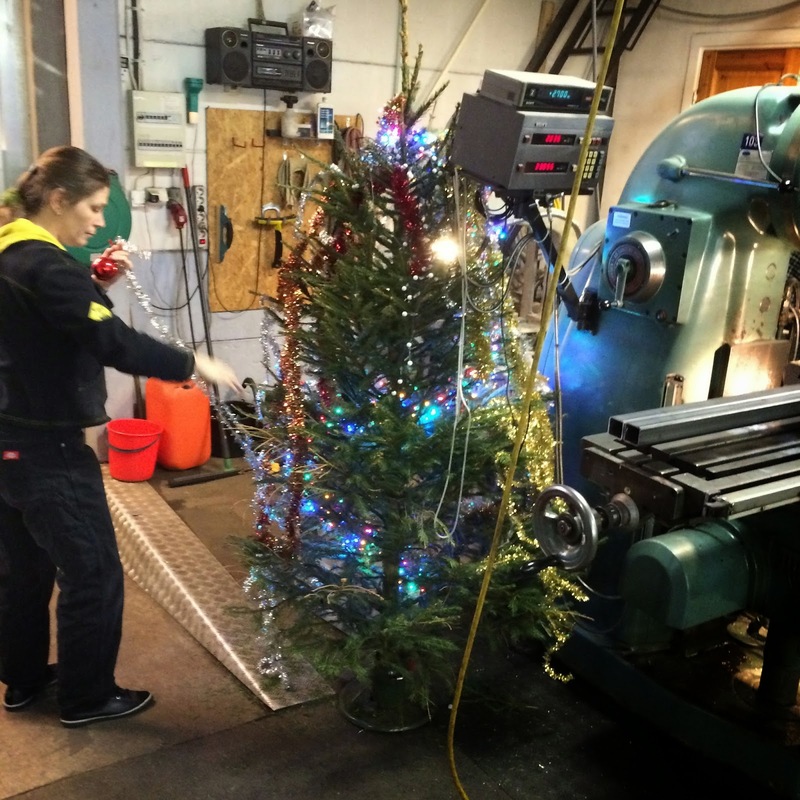 This Saturday was like Santa’s Workshop, there were activity in every corner and many visiting gear-heads. What we’re working with right now? Here’s some examples. I blasted, painted and renovated the trailing arms. In this order...the front end is now ready for assembly. Lars-Martin was finishing the welding on the rear fenders. In another (P1800) wheel house Gitte was happily doing some dirty work. 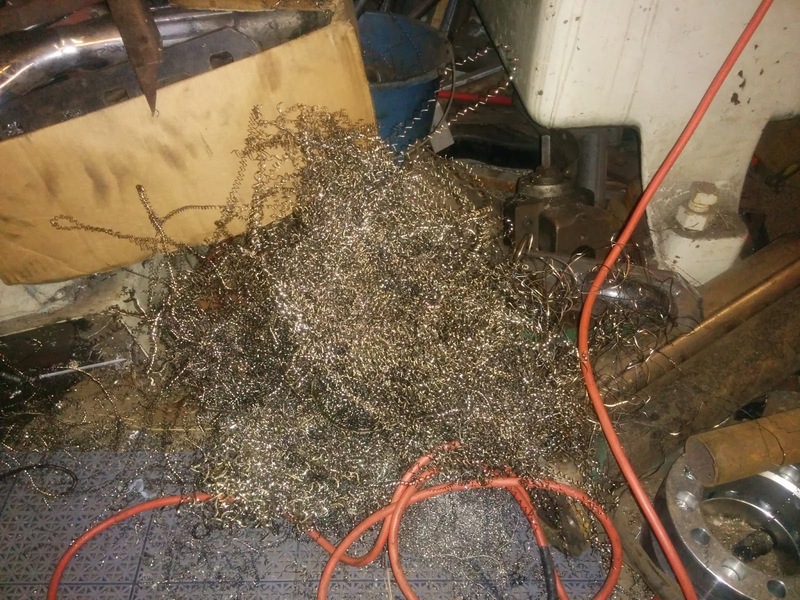 It's called rust protection and it's nothing for the fainthearted. Where's Mario? Carina was cooking corn soup to boost the workforce. After this we’ll got tired. Magnus proudly arrived with our flywheel, now turned to perfection. Kalle managed to involve the whole team in perpendicularity exercise. All these guys are obsessed by TIG welding. They're trying to find a reason to approach this machine. They obviously found one. The transmission cage. Or rather, the first part of the transmission cage. More and more structure and pipes are coming together. I even started to weld everything in place, once and for all. Are the weldings strong? Yes! 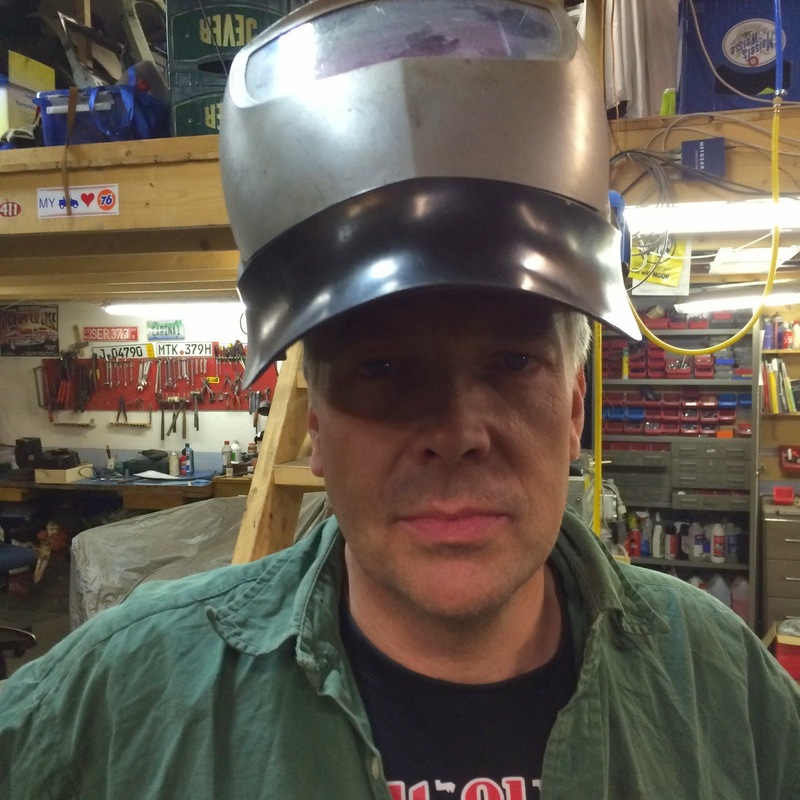 Will we win welding beauty contest? Nope. The transmission cage will be wrapped with aluminum. But Anders will first use paper to find out the 2D geometry. We don’t have to make any confession. 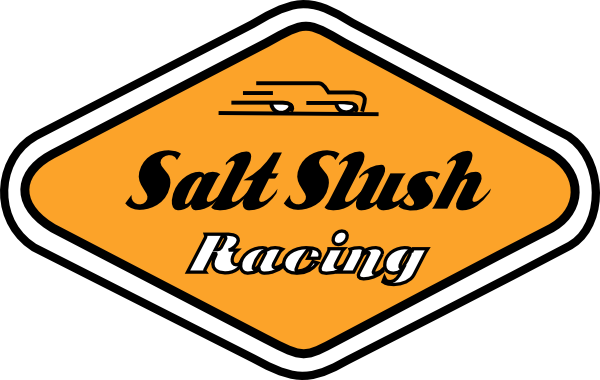 You all know that Salt Slush Racing Team members are Hot Rod Magazine fans. We love the mix of hot rod spirit, need for speed, tech reports/investigations and personally I don’t think there is any other magazine that can match HRM. Therefore, we furiously tear off the plastic covers of HRM and look forward to a Gear Moment. Besides American Muscle Cars, Model A's, Ford 32’s, Pick-Up trucks, Ol' Benz and Motorcycles, our hearts beats for highly boosted Volvo engines. But Volvo and HRM are normally not compatible and therefore I was surprised, or rather shocked, in a positive way, when I opened the latest issue of HRM. Under the headline Random Rodding the Volvo 450hp 2,0L prototype was on display. This doesn’t normally happen, it’s more like when-hell-freezes-over or when-it-rains-from-beneath kind of event. The Salt Slush Racing team members have always been addicted to Speed Shops as these provide the hardware that makes dreams come through. Therefore we are really happy to announce that Salt Slush Racing is now the Scandinavian representative for Borg Warner EFR (Engineered For Racing) and Schwitzer (AirWerks) turbochargers! That feels really good! We advise all of you in Scandinavia, who have a serious crave for Power and Speed, to visit our webshop and homepage http://www.saltslush.se/ and learn about the products and how they can help you reach new levels and set new standards. Feel free to contact us. We're starting up now and we will in steps, develop our business which is to promote the best turbo systems available. As performance distributer for BWTS EFR in Scandinavia, we're looking for customers as well as competent and serious partners. Since we're enthusiastic about being an important part of Scandinavian Speed we'll be visible in some of the myriads of motor and tuning events in Scandinavia the coming year. Do we know anything about boosting? Yes, it's fair to say that some of us do have an extensive experience of boosting gasoline and diesel engines since we've been working both for OEM's and for performance orientated applications. And yes, we want to talk about your application! That's one of our reasons for us to spend time on this - to hear about your projects, to support race teams and enthusiasts. So now you know ! We're here to provide with the best Turbochargers ever and to create Speed and Power! Did I mention Power? And Speed? Do we have apparel as well? Can we send our t-shirts to any country in the world? Yep, no problem. Just go to "profilprodukter"...and you'll soon be the proud owner of an Salt Slush racing t-shirt! During last week, we were out shopping and as you might know by now we're not only shopping groceries... on the list this week it said aluminum. Sheet metal aluminum. We drove over to Metalservice AB http://metallservice.se, but since we’re cautious, we called them in advance and asked if they had sheet metal aluminum. It became completely quiet, followed by a brute statement that if they didn't have that they would have a problem. Later on we found out that they focus on selling sheet metal aluminum and their storage of this commodity was huge even in a global perspective. We must have given them a very honest and professional impression since we managed to get an invoice instead of cash on delivery, combined with a fair price. Later on we found out that they knew where our garage is located, which is 2 blocks away from their storage, so maybe they thought they had us under some kind of control. Our intention is to start work with water tanks for the engine as well as engine intercooler. Another enabler is a metal brake and luckily, we've managed to borrow one from a friend which we'll pick up any day soon. Beyond our aluminim dreams, which includes things that normal people doesn't really think too much about, we're trying to endure January and February and look at the bigger picture a little bit from above. Sometimes when we're worried about the next step, as Anders in this picture, we soothe our souls with som proper measuring, using visual estimate and various gagues. Magnus and Anders here pictured in a winter therapy session. Afterward there was a storm outside. Was it a sign? 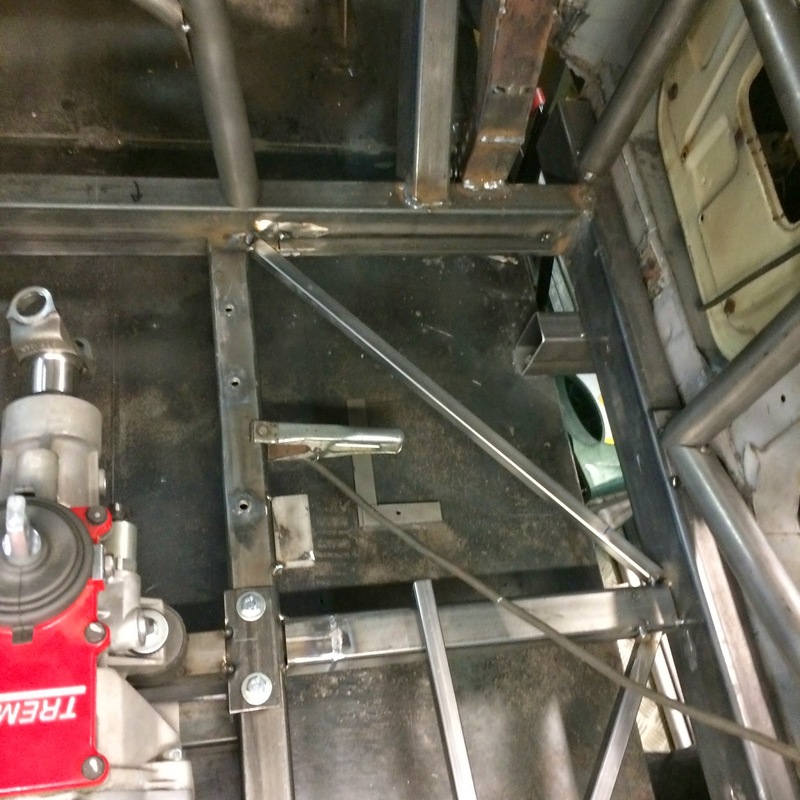 Nevertheless, we found a way to get to the desired caster angle (by using the Volvo 140 trailing arms) which will give us stability at high speed on the salt and dirt. Blasting has already been done. Next step: Surface treatment and painting. And of course, all bushings will be exchanged. No more worries, we have a plan. At least we have a plan for the hood that will cover the transmission and propeller shaft. The packaging is really tight, but again, since the measurement equipment is in focus, we'll be ok...eventually...I think, or rather that's what I hope. Above you see Ragnar B, one of the wizards behind Volvo's latest 450hp engine, taking on a real challenge. Maybe not like riding a rocket, but still needs to be treated with respect ! Back to work. 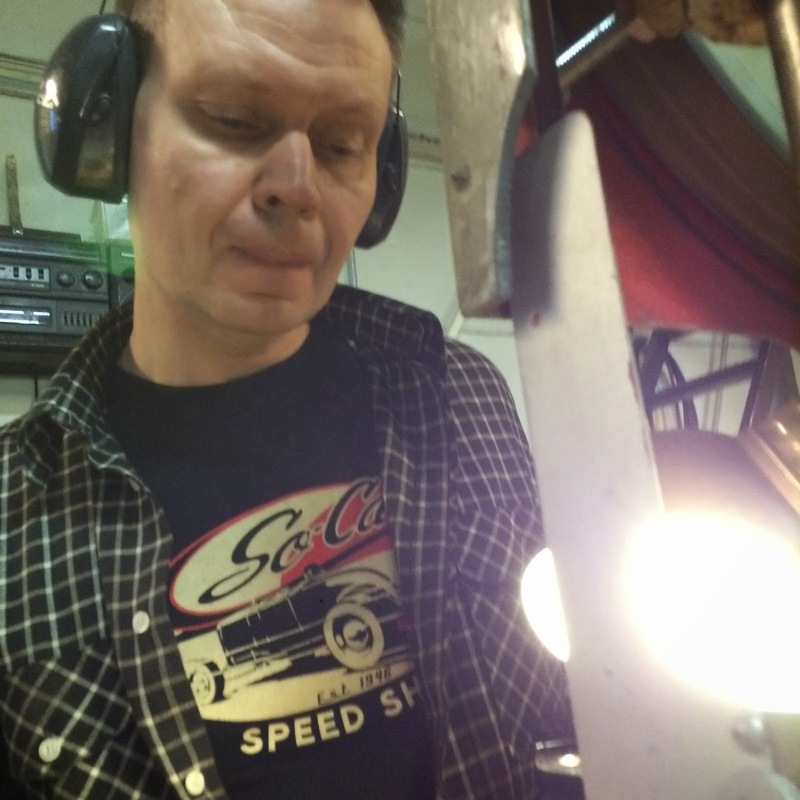 We still have a lot of welding to do, so Håkan grabbed the torch. Small braces in place to support floor around driver. Anders designed super-service solution for the transmission. Commercial work needs to be done as well! Here we're shooting some high quality pictures of T-shirts for our Speedy Webshop. Anders running the lathe since he needed some special bit's and pieces. Time goes on, Carina takes out our Christmas tree. The naked front but don't fool yourself structure for bellypan spoiler is coming in place. 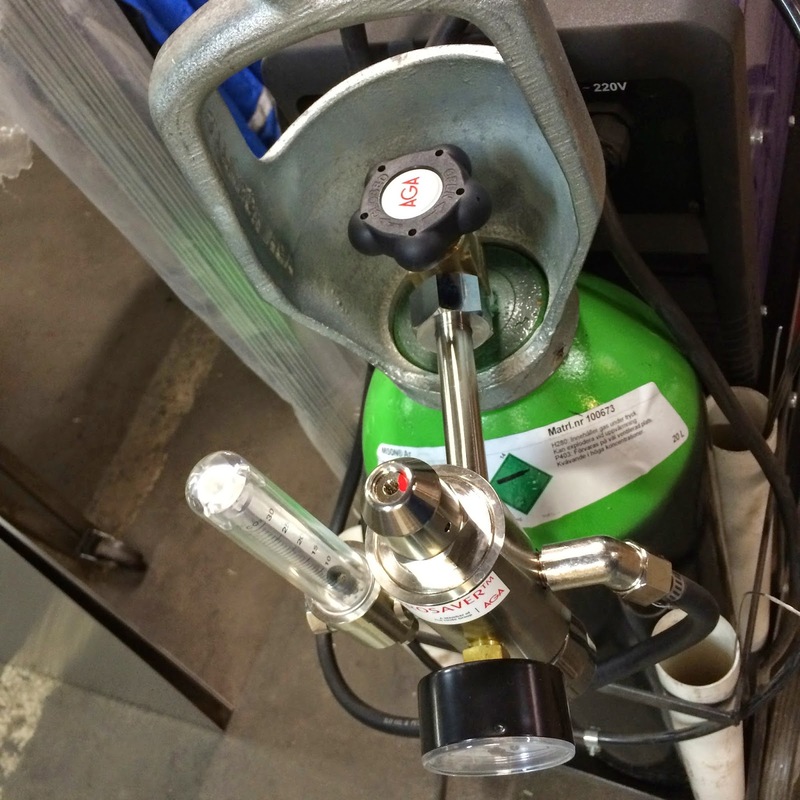 AGA's latest end greatest device will secure a high quality flow and nice welds. Anders cleaning up our SFI approved bell housing to gain clearance to the gas pedal.